As well as providing full service email marketing to a wide range of clients, we recognise that some people prefer to take more of a hands-on role – but often aren’t sure where to start. We are keen to promote the effectiveness of email marketing to all businesses and, with this in mind, we have partnered with various local agencies to deliver introductory email marketing events. One of our partners is Tameside Council with whom we have delivered 6 events over the past 12 months. There is a range of on-line email marketing solutions that you can subscribe to and use yourself. We have investigated many of these over the past 2 or 3 years and there is one which, in our opinion, tops the list in terms of usability and cost effectiveness – MailChimp. 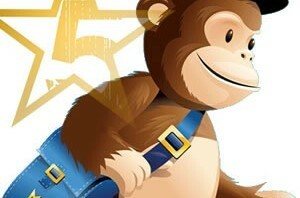 MailChimp is one of the easiest systems to use and offers a lot of functionality and online support. Even better, for smaller users, it is free! Our latest MailChimp seminar was last week and, following the successful formula of previous events, we mixed an introduction to email marketing with a demonstration of MailChimp after which the second half of the event was hands-on with delegates using MailChimp for themselves. I designed and sent a simple newsletter in a couple of hours..
...this was far beyond my expectations. Interesting new angle on marketing...learned something new. Excellent seminar. Really informative and well structured. We have one more event planned before Christmas but it is already fully booked – with a waiting list. We are planning more events for the New Year. If you want to find out how MailChimp and email marketing can boost your business, do get in touch to reserve your place.